Choosing natural over chemical or synthetic is always better, such as using Neem oil for pest control. Neem is a tropical tree found widely in India, and is used for a plethora of purposes. Its oil too has immense uses. It acts as a natural pesticide and is extracted from the Neem seeds. The Neem oil has insecticidal as well as anti microbial properties that makes it a popular alternative to treat mites, aphids, and fungus in plants. When you use Neem oil, you eliminate the chances of human beings getting harmed as this oil, despite being effective in killing insects, is completely harmless for humans. Its totally organic and is a boon for gardeners. 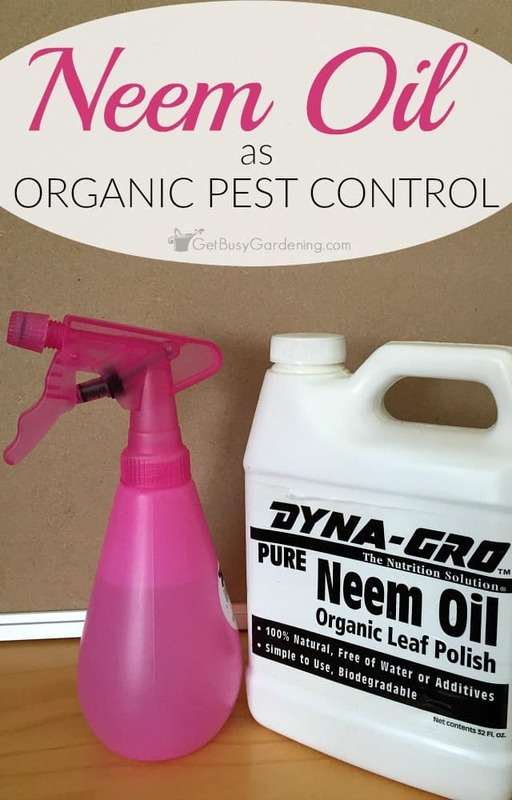 Let’s check out the top 25 ways to use Neem oil for pest control in gardening. Microscopic worms like nematodes are found in soil in large numbers, and cannot be seen by the naked eyes. These are extremely destructive for plants in any garden. The nematodes are also very difficult to control, except, when you use Neem oil insecticide to eliminate them. 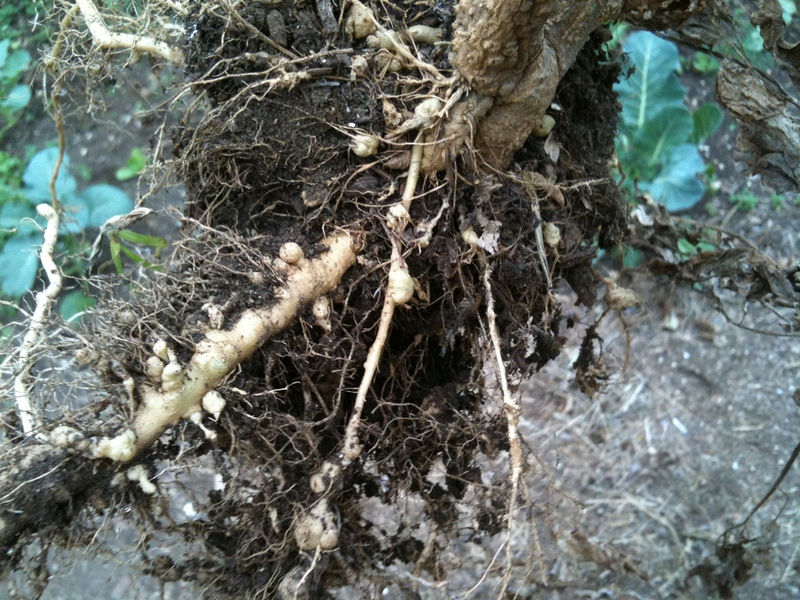 Among the most destructive nematode species is the root-knot nematodes that can wreck gardens in a short time. Neem oil works like a medicine on these worms as it prevents larvae from hatching and therefore, controls the population. Neem oil pest control is the best pest control that helps you get rid of many insects like Japanese beetles. Lawn grubs are the larvae of this variety of beetle and can cause massive destruction to your green garden. Wherever, there are bald or brown patches on the garden, its to be safely concluded that the area has been chomped away by this irritating insect. These larvae lie hidden under the soil and slowly consume the tender grass roots. Not only Neem oil helps in repelling the larvae away from the grass roots, it also prevents these from laying eggs. All you need to do is take some Neem oil and then spray it on the roots in nighttime. If you are still wondering why you should opt for Neem oil pest control, then read this out…NEEM OIL IS SAFE AND HARMLESS! Yes, its so safe that you can spray it around in your garden without harming any pets or other wild life that may visit your garden like rabbits and deer. Other chemical pesticides often leave toxic residues in the garden soil which may cause death. But, Neem oil doesn’t leave behind any residue as it is biodegradable and totally non toxic. Birds and fish will not be harmed even when the garden is sprayed with Neem oil. Its absolutely safe to use Neem oil for pest control at any given stage of insect development. Insects usually pass through three stages – eggs, larvae and adult. And, in every stage, they wreck havoc to plants and greens. Neem oil helps in killing not just adults, but eggs as well as larvae. It consists of a chemical called Azadirachtin that disrupts the hormones in insects, and also creates a reaction in which the insects stop eating the leaves of plants and trees. Also, if the Neem oil is sprayed at any stage of insect development, it will surely prevent the insect from developing further. Use Neem oil for aphids, spider mites, tent caterpillars, leaf-hoppers and many more, both during the growing season as well as in the dormant season. It is effective in killing overwinter pests as well as those that are in their growing stages. Simply use it as an oil spray or foliar spray to eliminate insects. 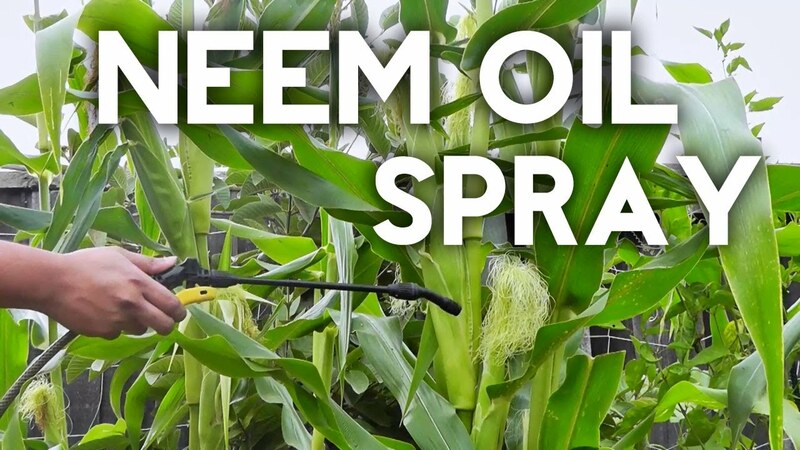 How to make Neem oil spray for plants affected with scab, black spots, rust and anthracnose? Well, its very easy to make a Neem oil fungicide. All you need to do is buy a cold pressed Neem oil which must be added to a solution of warm water and soap. Mix the solution nicely. Pour the solution in the sprayer and use it directly on plants affected with any disease as mentioned above. Neem oil also prevents mildew and other kinds of fungal growth in plants. For such plants that are affected with fungus, spray Neem oil on them every week or fortnightly. Apart from protecting vegetables from corn ear-worms, aphids and mites, it also offers protection against fungal growth like leaf and black spots, scab, mildew, stem rot as well as rusts. But, if you think you can spray at your own whim or fancy, then you are on the wrong track. So, the question arises here as to when and how to apply Neem oil to plants? Well, you have to make a Neem oil pesticide solution as mentioned in the previous point, then, choose the time of the day for proper elimination of these insects and fungus. Both morning and evening are perfect times for Neem oil spraying. If you spray the oil at other time, it may lead to killing of other beneficial insects like bees that are needed for pollination. Herbs need protection against spider mites, rusts, aphids and molds. How can you protect them naturally? Well, use Neem oil for this purpose. But, before you spray, make sure that your delicate herbs can withstand the oil. 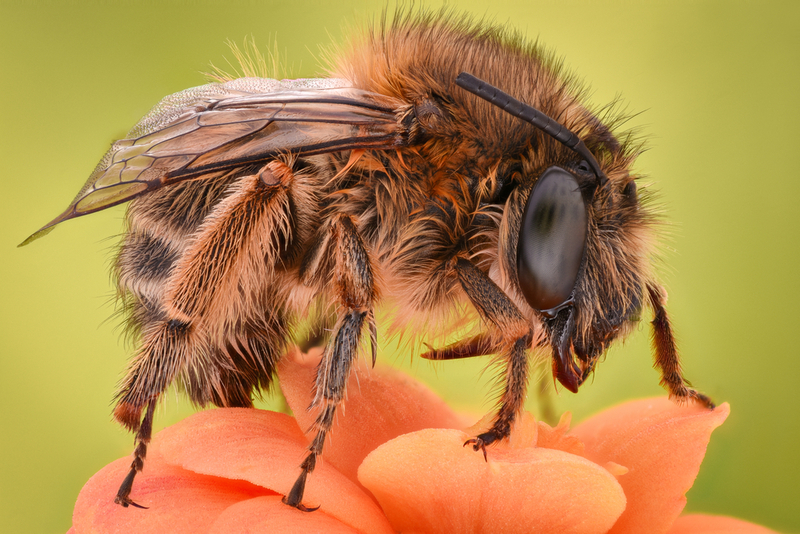 Other chemical pesticides or insecticides often create harmful and dead zones for beneficial insects like bees. But, Neem oil doesn’t do so. It affects only such bugs and fungus that harm your plants and herbs. Other insects that benefit the plants don’t get bothered at all. Neem oil is organic and biodegradable which means it doesn’t leave any harmful residue in your gardens. 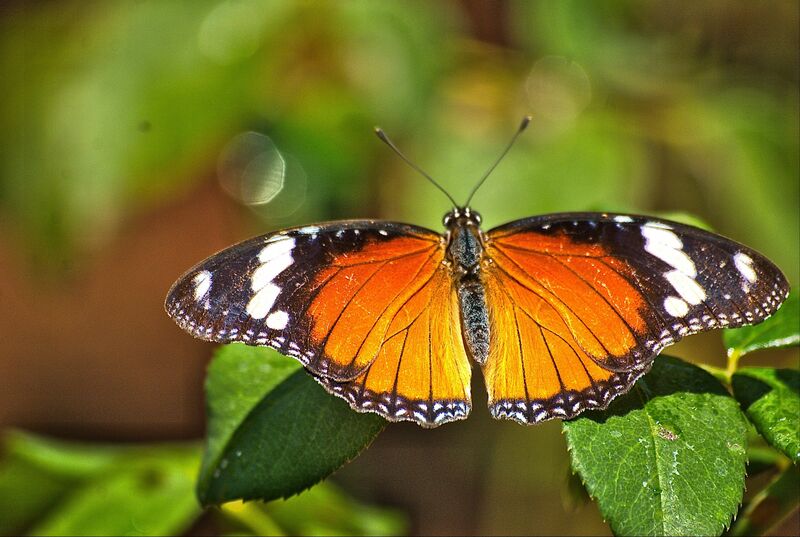 Even if some residue is left, it is safe for your pets as well as other beneficial insects that help in pollination. Use Neem oil for pest control in gardening to control fungal growth as well as kill aphids and mites that cause destruction. Caterpillars may look very cute, but they do cause lot of harm to our garden as they chomp away tender leaves at a fast pace. These can now be prevented from eating leaves with the help of non toxic Neem oil. This oil consists of Melatrol, Azaditrachtin and Salannin-chemicals that, when applied on leaves create a sensation that is nausea like among these insects, and forces them not to consume. They tend to develop an aversion to consuming leaves and wither away. Neem oil is not only effective in killing only a handful of bugs and insects. It’s effect is gargantuan as it can kill more than 200 species of harmful insects like scale, leaf-hoppers, aphids, mealybugs and mites. Though, Neem oil may kill more than 200 varieties of insects. It is, however, safe for earthworms that are considered beneficial in gardening. These worms leave casts that are full of nutrients essential for the growth of plants. 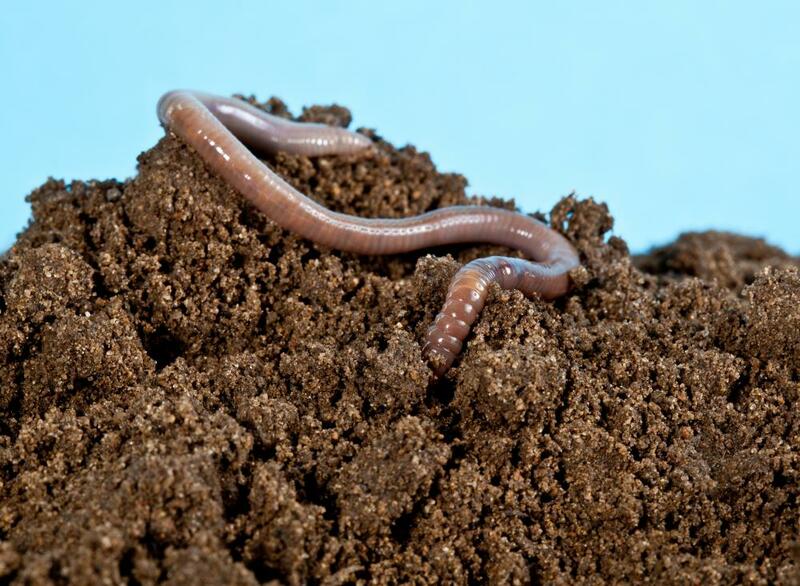 The dead bodies of earthworms help in nourishing the soil with extra nitrogen as well as potassium. Neem oil, in-fact encourages these worms to grow and propagate. 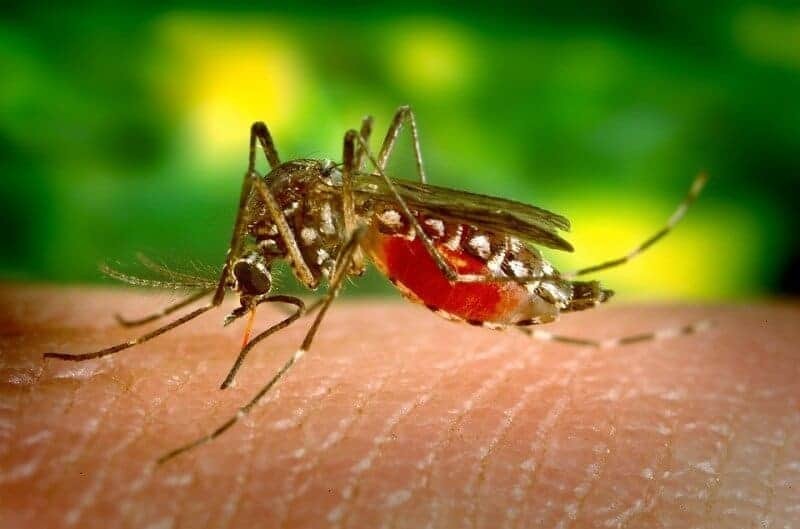 Most people in India use Neem oil for pest control which also includes blood sucking mosquitoes that are reasons behind diseases like dengue and malaria. An insecticide constituting of Neem oil is safe for humans, but will deter mosquitoes from bothering you when you spray it in and around your garden. 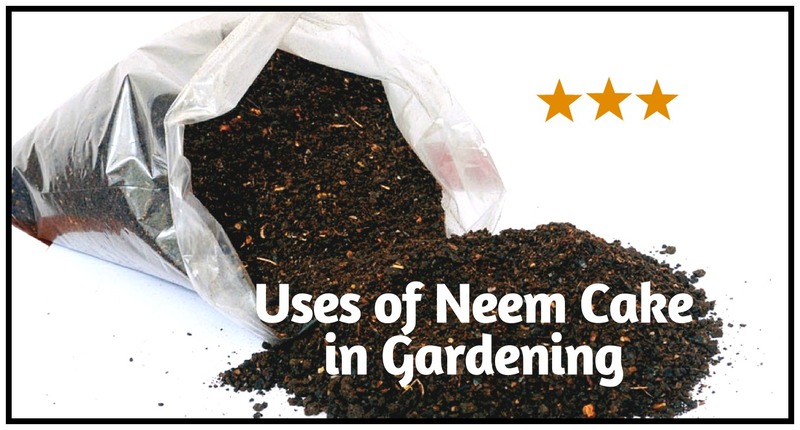 There is not one Neem oil formula that you can use in your garden. In fact, there are a lot of varieties of formulas that are available in the market, each meant for treating a particular type of problem. Among the best Neem oil for plants are those that are safe yet strong enough to kill resistant insects and fungus. If you want a soap based Neem oil formula, you can get one that has insecticidal soap in it’s composition. Otherwise, you can also buy Neem oil granules or concentrates for garden use. Neem oil can be used easily without you having to dig your heads beneath a pile of instructions. Its simple and even a kid can spray Neem oil concentrate on plants. 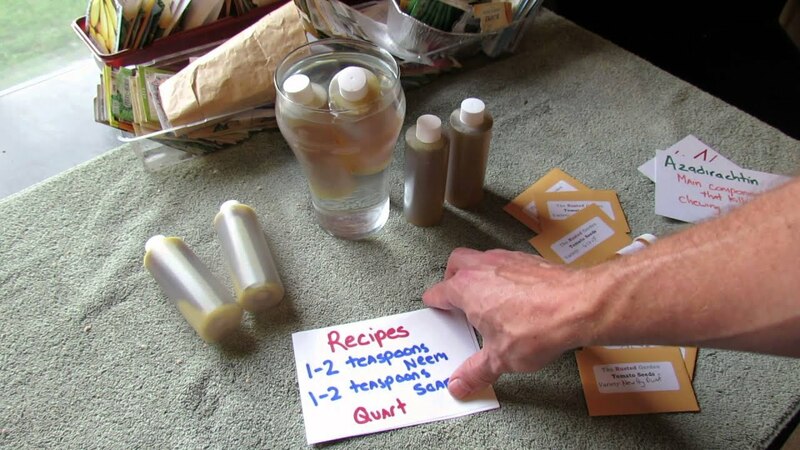 Simply, open the Neem oil concentration packet, mix the content in water and pour it in a sprayer. Then, spray on plants. This is not all. Neem oil can be used even when your plants are ready for harvest. This is however not the case with other chemical pesticides. In case you have fruit or berry trees and bushes planted in your garden, you can take care of them by using safe and organic Neem oil. Fruit trees like apple tend to get affected with meal as well as coddling worms. By using Neem oil, you can get rid of these irritating insects and protect your apple tree from getting infested. Spray your berry bushes too with Neem oil pesticide before their blooms blossom. Doing this will keep your berries safe from verticillium wilt and orange rust. Neem oil is hazardous to plant chomper pests like aphids, mites, and leaf-hoppers, but is totally safe for bees, butterflies and ladybugs. However, be sure to check the quantity of Neem oil to be used as large amounts sprayed will prove harmful for these insects too. If you have a greenhouse garden in your backyard, then, be prepared to have a lot of pests and insects invading your plants and herbs. The conditions in a greenhouse are so that they encourage the growth of aphids, scale and mites. But, you do not have to worry as you can get rid of these frisky pests by using biodegradable and safe Neem oil. Use this oil and its various concentrations for eliminating insects. Neem oil is not merely used as a pesticide, but also as a bactericide. There is one particular bacterial disease called fire blight that causes wilting in plants. And, Neem oil helps in preventing the growth of this deadly bacterial disease. Simply, spray the oil when the tree is dormant and is not blooming or harvesting. If you want your garden soil to have good amounts of nitrogen content and want to get rid of grubs and nematodes, then, make Neem cakes out of Neem fruits and kernels. 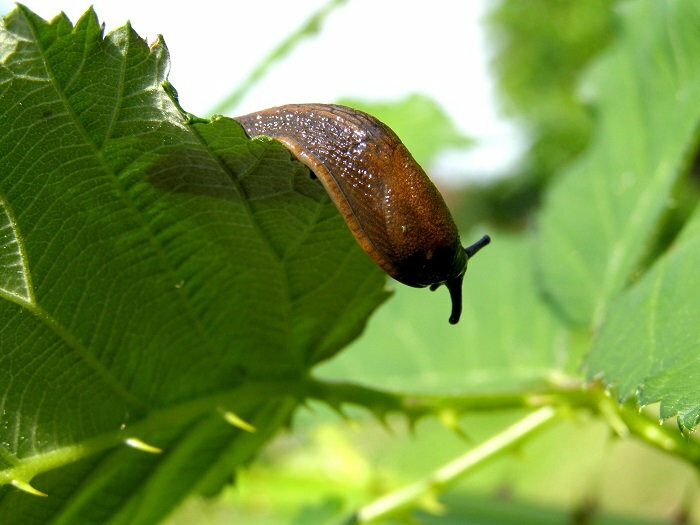 Then, apply these on plants to eradicate these irksome pests. The cakes also act as fertilizer for your plants. Neem oil pest control insecticide also keeps away caterpillars and fall web-worms from wrecking havoc on your nut trees like pecan and walnut. By applying the Neem oil spray directly on these insects, you not only prevent web-worms to build nests in the gaps of branches, but also kill them. The best part of using Neem oil pesticide is that it doesn’t make pests immune to it. 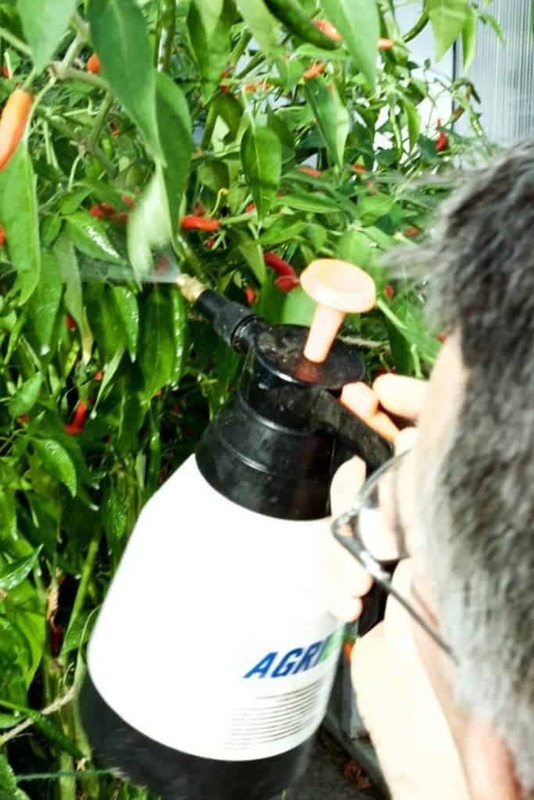 Other chemical pesticides and insecticides, when repeatedly applied on plants, make insects and bacteria resistant. So, one can keep using this oil for eternity. Unlike chemical pesticides and sprays that get into the water table as and when you apply them on plants, Neem oil, however, doesn’t pollute water. It is absolutely safe to be applied to the garden soil or plants. Even if it enters a river body, it will not cause any harm. 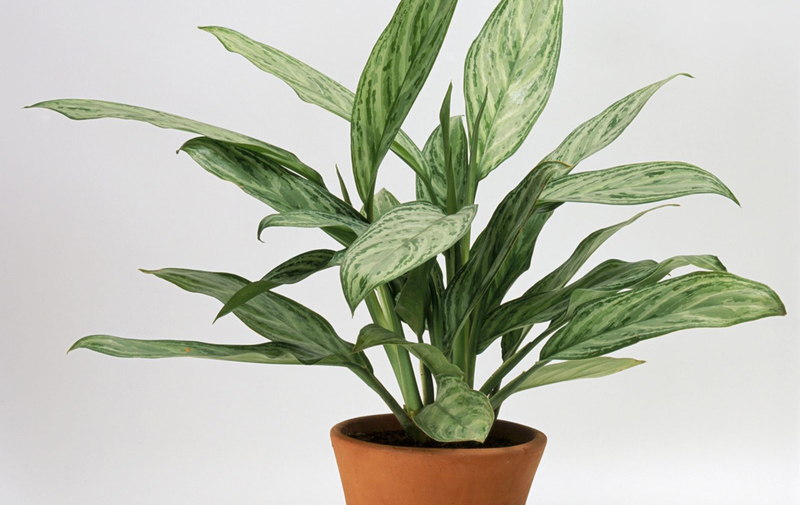 Indoor plants will benefit a lot if you spray them with organic Neem oil pesticide or insecticide as it will get aphids and mites eliminated in no time. But, the question here is how to apply Neem oil to plants indoors? Well, you simply need to prepare or buy a Neem oil concentration and mix it with water as instructed. Pour the solution in a spray bottle and then, spray directly on leaves. This will kill all types of harmful insects. How did you like our presentation on 25 best ways to use Neem oil for pest control? Well, take serious note of all these points and make use of it as its completely safe and harmless.